Dominic Carey has recently started to invest directly in the stock market. Carey, who is 39 and lives with his partner in London, says this was precipitated by a job move. “I’ve only been investing in individual shareholdings for the past six months,” he explains. This prompted him to buy some shares to try to make up this shortfall and boost his overall level of investment. Carey contributes to his DC work pension and also has a Lifetime ISA and an ISA. He also has some cash savings for emergencies. A Lifetime ISA a cross between a pension and an ISA. It offers savers the opportunity to withdraw funds to pay for a deposit on their first home. Those that don’t take up this option can access the cash on retirement. Rather than offer tax relief on contributions, savers get a 25% top up from the Government on contributions up to £4,000 a year. Carey says he is not saving for a house deposit but is instead hoping to boost his retirement savings. Through this LISA Carey invests in two ready-made portfolio offered by AJ Bell. He has split his money between their ‘Aggressive’ and ‘Moderately Aggressive’ portfolios. As a longer-term investor he is looking to take on some risk in return for the potential upside. When it comes to his ISA, Carey takes a more hands on approach. He has invested in UK equities including the pub chain Greene King (GNK), property company Taylor Wimpey (TW.) and chemical company Johnson Matthey (JMAT). As an AJ Bell (AJB) customer he also took up the option to invest in the company when it floated on the stock market last year. Carey say over the very short time frame he has been a shareholder, returns have been mixed. “The Greene King and AJ Bell shares have certainly performed well. I am several hundred pounds up,” he says. However, his investments into Taylor Wimpey and Johnson Matthey have not fared as well. Share prices fell after he initially invested and are still below what his purchase price. He says this hasn’t encouraged him to put more money into the stock market at present. Greene King is involved in managing pubs and restaurants. Its share price has slipped over both three and five years according to Morningstar data, as the pub and restaurant sector has come under pressure. However, over the past year the company has turned around this poor performance and the share prices have climbed. Shareholders in Greene King has seen a return of 20.87% over the past year, compared to annualised losses of 5.69% over the past three years. This trend is reversed when it comes to residential housing developer Taylor Wimpey. Here, shareholders have enjoyed buoyant returns over the longer term, with the company delivering annualised returns of 31.17% over the past decade. Morningstar data shows that over five years, shareholders have enjoyed annualised returns of 13.06%. The rising share price has been on the back of strong house price growth in the UK, particularly in the South East. This has helped to boost profits at the company. 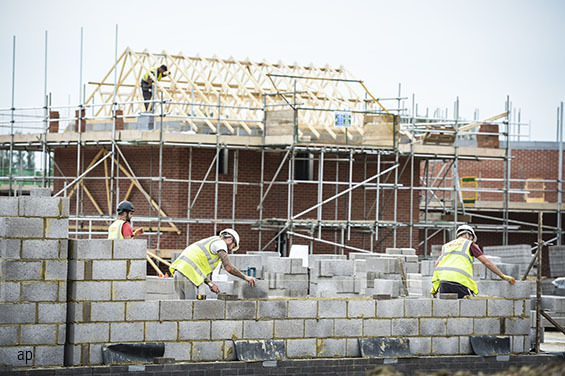 The company has also benefited from Government schemes such as Help to Buy, which has provided financial help to many first-time buyers looking to purchase a new build property. However, share prices in the company have slipped over the past year. Shareholders have lost 8.55% over the past 12 months. Johnson Matthey is chemical company, involved in both the production of catalysts for automobiles and trucks, as well as industrial catalysts for the oil and gas sectors. Although share prices rose from 2016 to mid-2018, they have fallen back again since then. Morningstar equity analyst Rob Hales points out that the company reported “solid first half results” back in November last year, with operating profits broadly in line with expectations. However Hales says that the general market sentiment has grown “increasingly bearish” for companies, like Johnson Matthey that are leveraged to the car industry. Although the performance of some of these shares has been disappointing, Carey says that he’s aware that short-term volatility is part of parcel of stock market investing. He plans to continue to contribute to both his LISA and his workplace pension on a monthly basis, while his investments into his share portfolio have been on a more ad hoc basis. “Given the political and economic uncertainty around Brexit I think I will hold off from buying any more UK shares at present,” he adds.